Considered as the best French tank in 1939, the Somua S-35 was in many ways superior to all foreign tanks in the same category, including German tanks. The 47mm S.A. M35 gun on the tank was itself the best anti-tank gun in existence at the time. Operated by a team of 3: the tank commander, pilot and gunner, the Somua S-35 could cross a ford of 1 meter deep and could climb slopes of almost 70%. 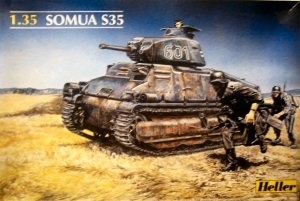 Four hundred Somua S-35’s were built and in 1940 were used by the 1st, 2nd and 3rd Divisions Legeres Mecanique (D.L.M. ), and the 4th Division Cuirassee de Reserve, commanded by Colonel DeGaulle, within the 4th D.L.M. The S-35’s took the full brunt of the Spring Offensive in 1940 and were almost all destroyed or captured by German forces. In fact, the 1st D.L.M. became part of the German 7th Army, and was deployed in North Belgium and the Netherlands. As for the 1st Army, which included the 2nd and 3rd D.L.M., it was deployed in central Belgium. Finally, the 4th Division Cuirassee de Reserve of General DeGaulle confronted from 16th to 20th May, 1940, the 1st Panzer Division of General Guderian at Montcomet, in Picardy. After some modifications in 1943, the Germans used the captured tanks on the Eastern Front. In German service they were called Pz.Kpfw.35.9.739(F). They were also used for training and hunting down partisans. The kit came in a shrink-wrapped tray and lid type box, with very sturdily built tray. The box art shows a Somua in German markings, crossing a grassy field and accompanied by 2 German foot soldiers. One side panel says the kit has a scheme for a S35 captured by the Germans and designated as Pz.Kpfw.35-9.739 (f), no. 601 in 1943. Next to this is a listing of Heller paint numbers to use on that scheme. The other scheme mentioned in the kit is for a Char de Cavalerie, 93, no. 67252, 4eme Section, 1er Bataillon, 18eme Dragons, 1ere Brigade Legere Mecanique, 1eme Divisin Legere Mecanique, Belgique 1940. Next to this is a list of Heller paint numbers of colors to use to finish this version. Bellow these is the dimensions of the model when completed: 75 mm high, 154 mm long and 64 mm wide. 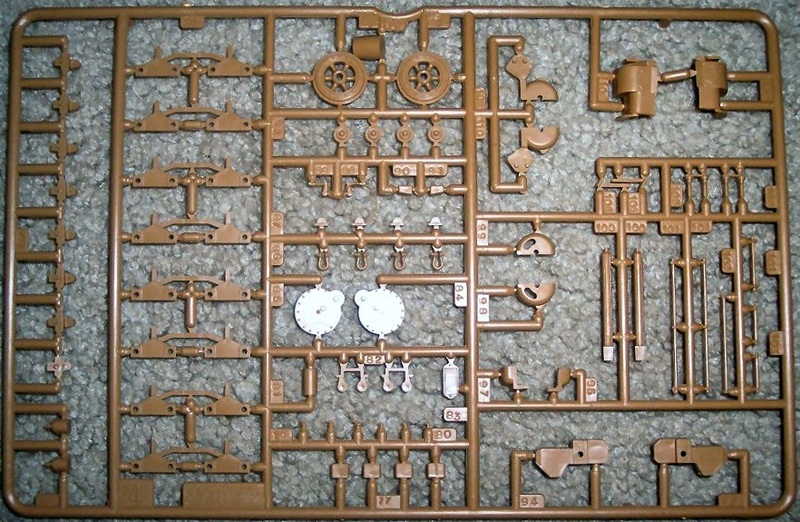 The kit contains 216 parts. The kit was made in France. Paint and cement are not included is said in 15 languages (including English). The kit is not for children under 3 and Hellers address in France is provided. The other side panel has a small color repeat of the box art, followed by a one paragraph history of the Samua S35 in 4 languages (including English). 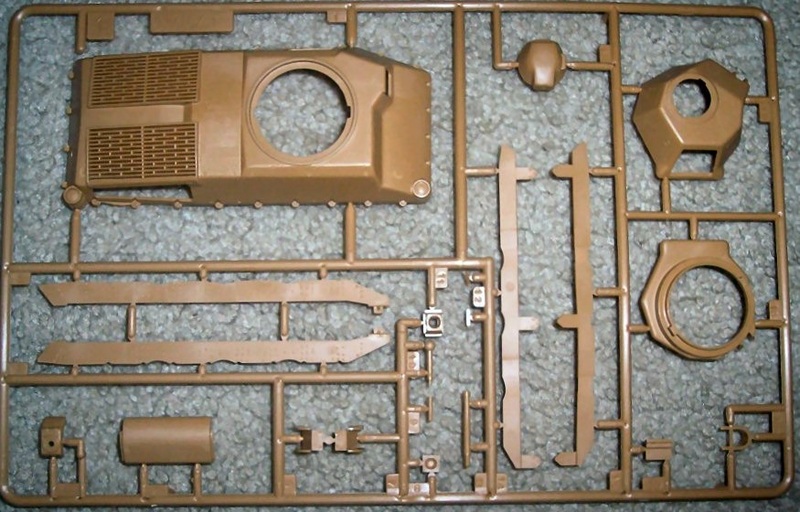 Inside the box are 5 tan parts trees, 1 clear parts tree, the decal sheet (all these in a single cello bag), steel colored vynil rubber-band type treads, the instructions, customer service coupons (to mail in to Heller for any missing parts) and a large sheet showing the box arts of no less than 271 other kits that Heller markets. These are in full color and are the size of postage stamps. Also, on this sheet is a coupon to order Heller’s 50 page catalog. The instructions consist of a 11 ¾” x 8 ¼” stapled booklet of 12 pages. Page 1 has the history of the Somua in eight languages, including English. Pages 2 through 9 give a total of 21 assembly steps. A Somua in captured German markings, as it appeared in 1943, with the turret number 601 in white outline type and two large skeletal white German crosses on the back of the turret.. It is overall Panzer-gray. A Somua in French markings of: The Char de Cavalerie, white turret number 93, license plate number 67252, 4 eme Section, 1 er Battalion, 18 eme Dragons, 1 ere Brigade Legere Mecanique, 1 ere Division Legere Mecanique, Beligique Mai 1940. It sports a white club (like on playing cards) with a blue circle in the center and a white Pegasus (flying horse) in the center. A large white number 93 and a French roundel (like used on their aircrafts) is on the turret sides. It is in a camouflage of bands of tan, brown and dark green. Below these illustrations are other illustrations of how to apply the decals. Page 12 of the instructions begins with general instructions in 12 languages, including English, followed by international assembly symbol translations. Strangely, the parts trees are called out numerically instead of alphabetically, like we usually see in kits. There are NO parts trees illustrations in the instructions, so each step will have to be studied to get the right part numbers for assembly. Bad move Heller. Tree number one holds: the hull top, turret parts, main gun, machine-gun, side plates, nose plate etc. (21 parts). Tree number two holds: the bull bottom and side plates, machine-gun mantle, fuel tanks, various hatches, side armor etc. (32 parts). Tree number four holds: road wheel bogies, idler wheels, tow rings, more suspension parts etc. (79 parts). Tree number five is the vinyl rubber-band type treads, molded in bright steel (two parts). Tree number six is the clear parts. There are 3 lenses on this tree. Tree number seven holds two seated crew figures. 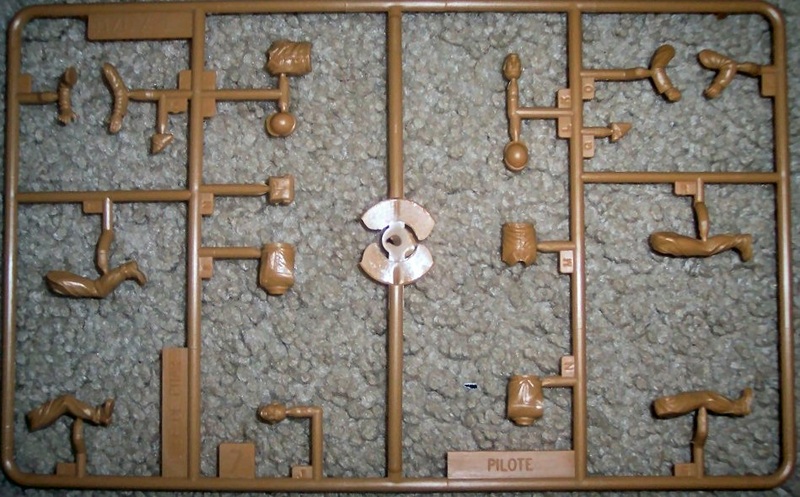 One figure is to sit inside the tank on a raised peg. However, there is no further detail in there. The second figure is to be posed sitting on the door at the rear of the turret. Each figure is divided into front and rear torso halves, separate legs and arms, heads, two pistols in holsters, two steel French tanker helmets and one cloth bag. 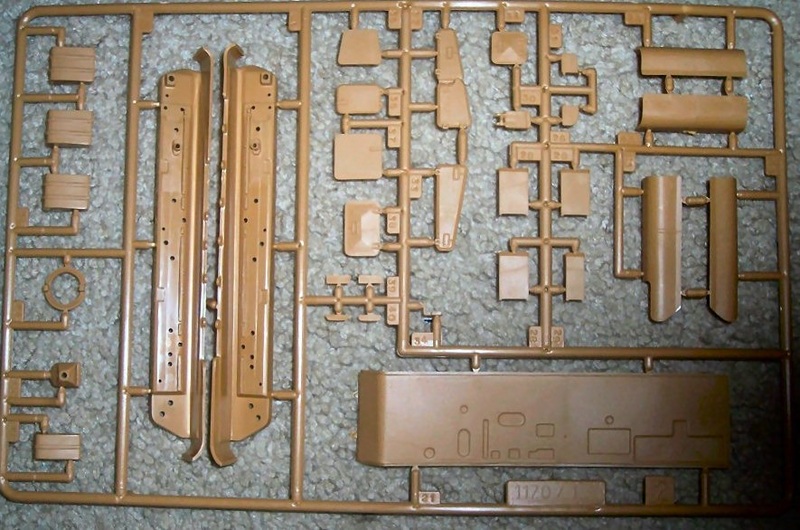 (19 parts). The kit decals include markings for one French and one German tank. This is one salty-looking French tank. I wish more marking options and interior detail had been in the kit, but what is there is nice. The engine air intakes are nicely molded open on the rear deck and overall detail is very good. I recommend this kit to modelers of average building skills. This kit first appeared from Heller in 1977. As kit No. 793 and as kit No. 81170 in the 1980’s. Gunze Sangyo released it as kit No. GS303 once in the 1980’s and again in the 1990’s. Heller did the kit again in 1999 (which is this kit) and again in 2010 with the same box art. Blitz brand did a resin drawbar for the Samua as kit No. 35-4010 and a turret and tracks for it as kit No. 35-4010 in 2009. 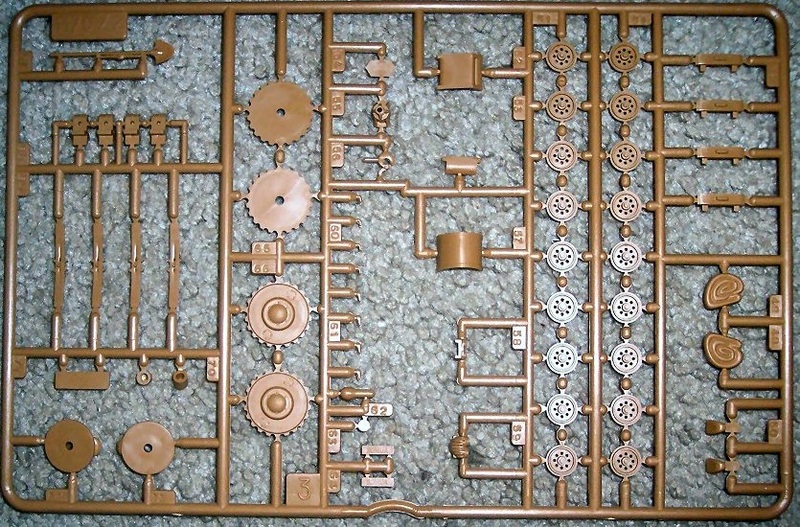 Eduard did a steel PE set for it kit No.35313 in 2000 and Inside the Armor brand also did a PE set for it as kit No. 35088 in 2013. Kit was won by me in a IPMS contest raffle in 2006.. I have two of them in my stash. I think the other one is the 1977 issue.